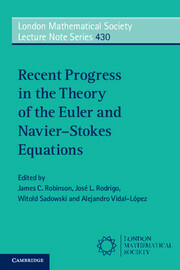 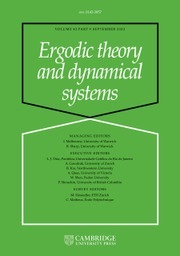 A rigorous but accessible introduction to the mathematical theory of the three-dimensional Navier–Stokes equations, this book provides self-contained proofs of some of the most significant results in the area, many of which can only be found in research papers. 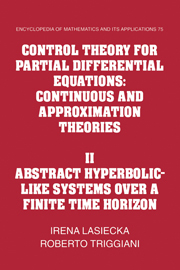 Highlights include the existence of global-in-time Leray–Hopf weak solutions and the local existence of strong solutions; the conditional local regularity results of Serrin and others; and the partial regularity results of Caffarelli, Kohn, and Nirenberg. 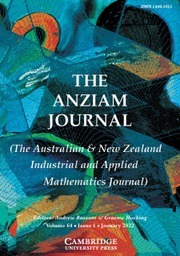 Appendices provide background material and proofs of some 'standard results' that are hard to find in the literature. 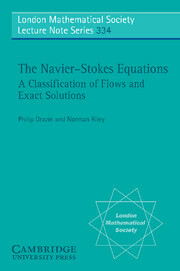 A substantial number of exercises are included, with full solutions given at the end of the book. 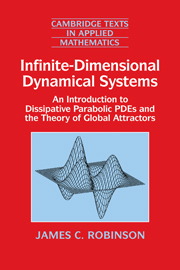 As the only introductory text on the topic to treat all of the mainstream results in detail, this book is an ideal text for a graduate course of one or two semesters. 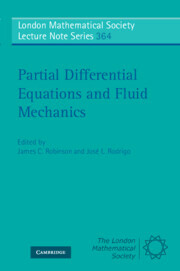 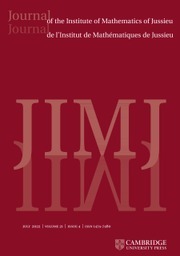 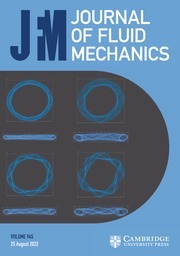 It is also a useful resource for anyone working in mathematical fluid dynamics. 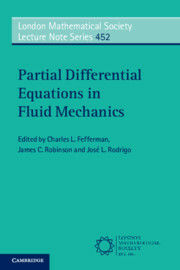 This book is very comprehensive and easy to understand with respect to Navier-Stokes equation. 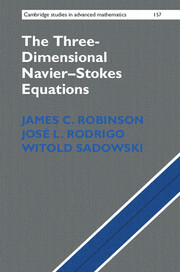 James C. Robinson is a Professor of Mathematics at the University of Warwick. 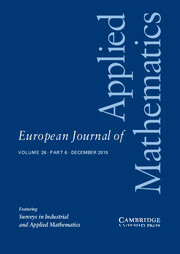 José L. Rodrigo is a Professor of Mathematics at the University of Warwick. 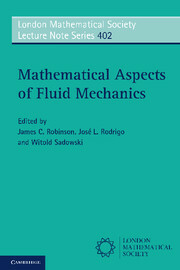 Witold Sadowski is an Assistant Professor in the Institute of Applied Mathematics at the University of Warsaw.